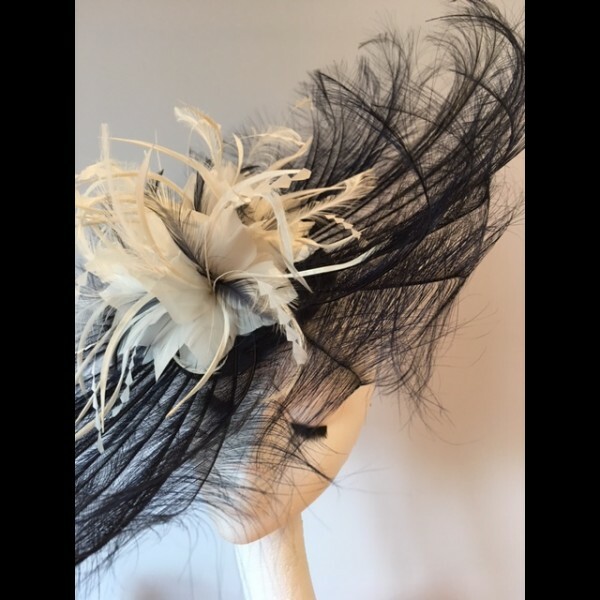 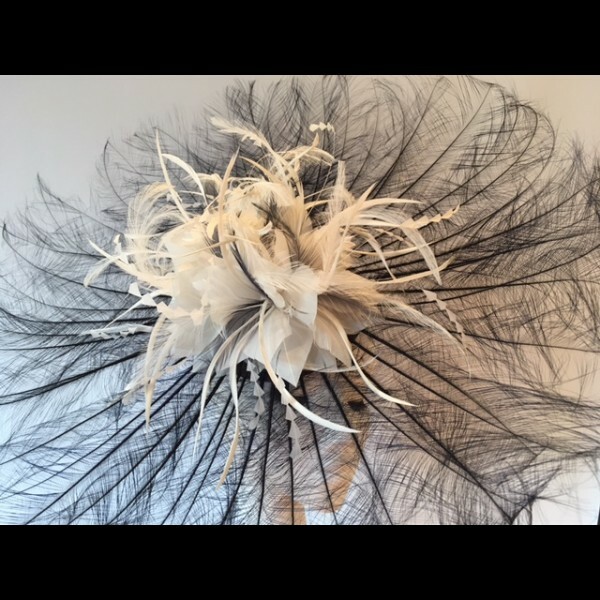 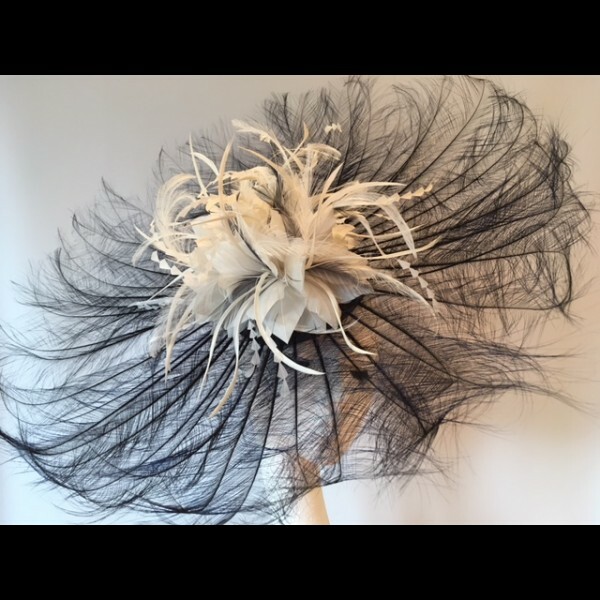 Dramatic headpiece created from burnt ostrich feathers in a classic navy and ivory colour combination. 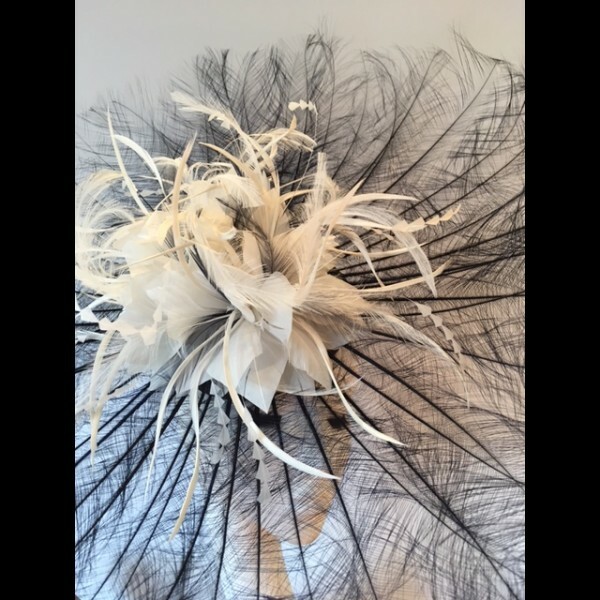 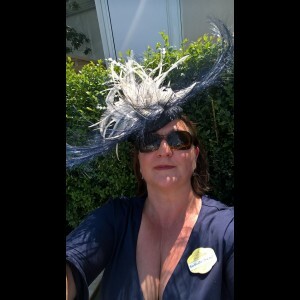 The price stated is for the HIRE of the headpiece, available in other colours by bespoke order. 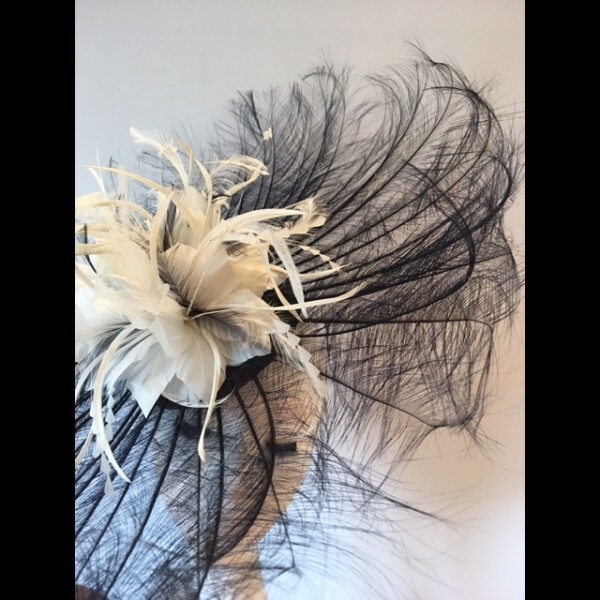 Alos available to hire in alternative colours:- Red, Black, Navy, Coral, Royal Blue, Purple, Hot Pink with Orange, Natural/Ivory with Gold.